California Moss Control’s Pledge to the Environment. SoftWash Systems isn’t a new “GREEN” company. We have always had a strong commitment to being more than green. Our company, No Moss, has a core of values that places stewardship and service above profits. We believe that profits will come as we focus on doing business in a way that honors our values. This is our “world is round” mindset and “what we reap we sew” is in our moral fiber. Our pledge to passing on a clean, healthy environment and proud to be a member of the Good Stewards program. 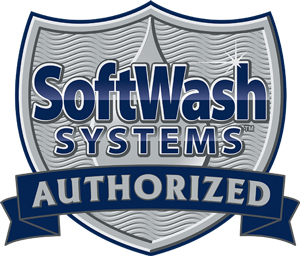 As Good Stewards, the in-network companies of SoftWash Systems believe and practice, protocols and standards, that are for more than just compliance. They are because we wholeheartedly understand we are stewards of the resources we have been entrusted with. 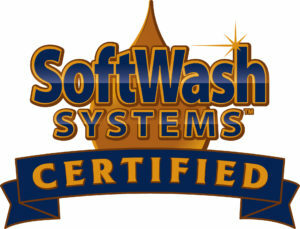 You as a customer of the in-network companies of SoftWash Systems entrust us with your property and we respect that. That respect also transfers to the land, water and air surrounding your property as well. Our Pledge to you is to be the friendliest company to our customers, neighborhood, state, and the environment through our advanced technologies and knowledge of how important our surrounding really are to us.